Deginet is living with his parents and siblings. He is the 5th child in his family. He has 4 siblings: a brother and 3 sisters. His parents dwell on subsistence farming which is not enough to sustain the whole family. Thus, his parents struggling to address the basic needs and educational materials needs of their children. Due to this, they believe that having the Wallana KG school in the area is a great opportunity to teach their children without school fee. 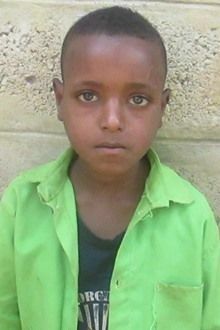 Deginet is healthy, strong, clean child with no medical concern. Deginet joined Wallana KG school in this academic year by his mother as there is little access to free, quality, preschool education with close proximity to where the child is residing. Tell your friends Deginet needs a sponsor!